As a provider of the top conference centres in Edinburgh and beyond, we love helping our clients decide on the perfect conference space. 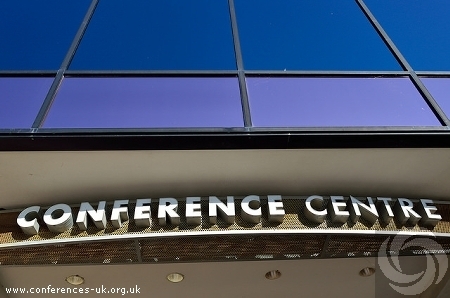 To help you make the best decision-whether for an Edinburgh conference centre or another need-we've outlined a few tips below. 1. Start with the location Your attendees will always want a convenient location. Begin your search with a list of ideal locations and work outwards. 2. Don't get caught up with technology Some event managers focus solely on technology offered by the conference space. Remember that most needed items can be rented after you find the perfect location. Many meeting rooms in Glasgow will have tech-goods factored into the price, so be aware of this as well. 3. Think like a delegate What are their needs? What would they want to see at the conference? Ask these questions before putting down a deposit. 4. Verify your invite list Make sure everyone who says they are attending RSVP's for a better estimate on food, space, and the like. 5. Quality above all The quality of the conference space is essential to ensuring a successful event. Space, amenities and catering should all be professional-grade for a better outcome. 6. Consider customer support Enquire about customer support and staffing from the conference venue prior to making a decision. 7. Reputation is critical What do previous customers have to say about the conference centres you're considering? Ask for references or case studies to support your decision. 8. Layout Essentials Depending on your conference, you may prefer an open floorplan for networking or a closed off, private group to harness the attention of your audience. Choose accordingly. 9. Comfort is key Take a tour of the location and feel out the comfort level of the space. Sit in the chairs, try out the restroom facilities, and locate the amenities to see how everything fits together. 10. Privacy for sensitive-company conferences Your conference might include top-secret information you don't want leaked to nearby competing company conferences. Check for soundproofing if necessary. We hope these top ten tips help make your next event a true success in Edinburgh, Glasgow, or beyond.